CUMBERBATCH WINS! 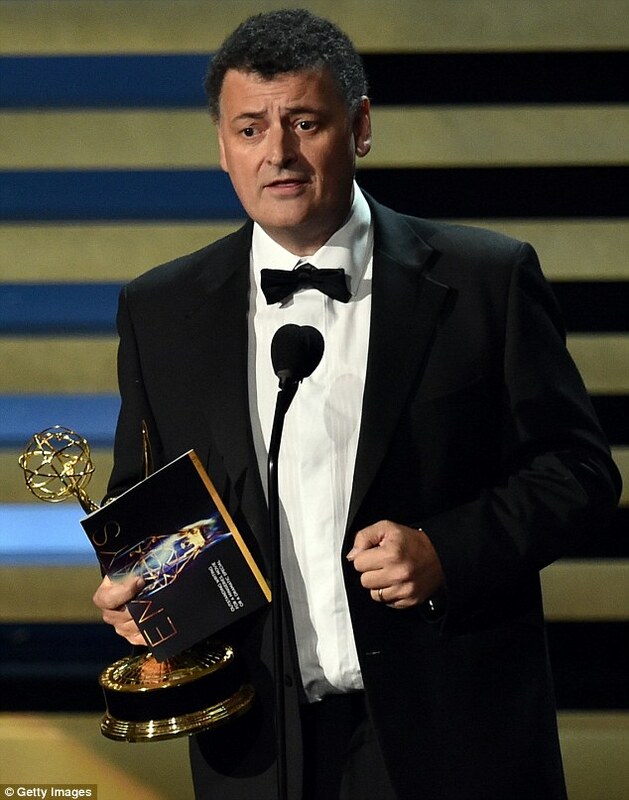 Sherlock ROCKS The Emmys as Steven Moffat Promises A “Devastating” Season 4! They’ve called it a “cult favorite” for so long that there seemed to be a hush over the industry crowd at last night’s Emmy Awards Ceremony anytime a win was announced for the BBC/PBS hit series, Sherlock…that would be three for those of you keeping count…including what many thought was an “upset” in the Lead Actor category which went to Sherlock himself, Benedict Cumberbatch. To be honest, I think the upset is that it’s taken the Emmy voters this long to wake up and realize what they’ve had in this show! Cumberbatch beat out a crowd of heavy-hitters including Fargo‘s Billy Bob Thornton and Martin Freeman, The Normal Heart‘s Mark Ruffalo, Luther‘s Idris Elba and Dancing On the Edge‘s Chiwetel Ejiofor. A prestigious group indeed…but nothing to be upset about as this recognition was much deserved and a long time coming! Not going home empty handed was Cumberbatch’s co-star, Freeman, who was honored in the Best Supporting Actor category for his multi-layered portrayal of Sherlock sidekick John Watson. A big night at the Emmys for Team Sherlock! Get people watching? They’ll be chomping at the bit! 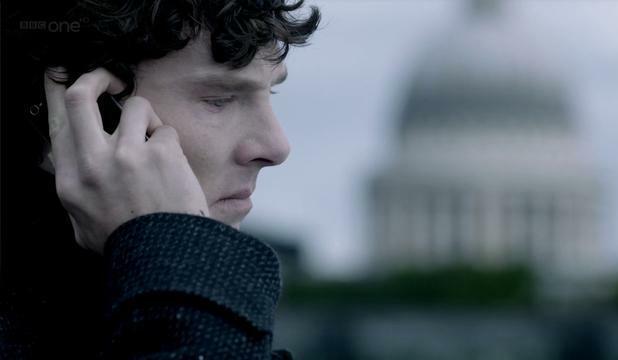 Especially after the tease he gave last night, when Moffat promised that Sherlock Season 4 will not only top Season 3 (a hard feat to be sure)…but will be “devastating”!! In fact, he added, “it is so devastating that our cast was reduced to tears.” when he told them their plan. Oh no, oh no, oh no! Now I’m crying! Somebody dies, I just know it! “Devastating” Sherlock season up ahead. Moffat said that he and Co-creator Mark Gatiss are very excited about what they have coming up. Calling themselves, “a couple of fanboys.” (I knew I loved them for a reason…they’re fan geeks too!) However, nailing down Cumberbatch and Freeman’s very busy schedules is “quite tricky…It’s like corralling everyone in a cocktail party. We have to pitch (them) every year. But, we know what’s happening with Sherlock is unusual, so we’ll keep making Sherlock as long as it’s a good show.” Good show? It’s a great show! All I need to hear is the opening strains of the Sherlock theme music and I get all tingly inside! Moffat revealed that Series 4 could go before the cameras as early as January, right about the same time that he’ll be working on Doctor Who, with the first episode airing as a Christmas special in 2015. SO far away! Well, it is well deserved Mr. Moffat and Mr. Gatiss as you have given us a show that we will ever forget…and now with all these Emmy wins I’m certain the rest of the world will be jumping on the Sherlock band wagon….which I’m not sure I’m all that pleased with as I’m feeling very territorial about my ‘cult show’. Still, I shall have my deerstalker cap in hand and ready to go come Christmas 2015! Congratulations to the whole creative team at Sherlock! This entry was posted in Home Page Posts, The CumberWatch and tagged Benedict Cumberbatch, Emmy Awards, Sherlock, Steven Moffat. Bookmark the permalink. 2 Responses to CUMBERBATCH WINS! 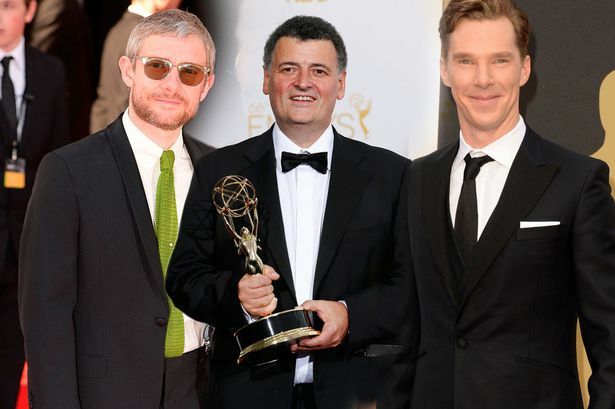 Sherlock ROCKS The Emmys as Steven Moffat Promises A “Devastating” Season 4! So happy for Ben to win. Sherlock is awesome and his performances have created a fresh and original Sherlock for the new century. Also have to congratulate Martin for Fargo win. He is simply awesome in that series. The whole series was amazing with so many great performances truly. I was following the Emmys on the internet yesterday. Was pleased when Steven won his, excited when Martin won his, so much so that I couldn’t believe that Benedict could possibly lose. Ben & Martin’s performances as Sherlock and John are so closely tied that I could not imagine one winning for his role without the other also winning. Happily I was right. Congratulations to everyone on the Sherlock team.